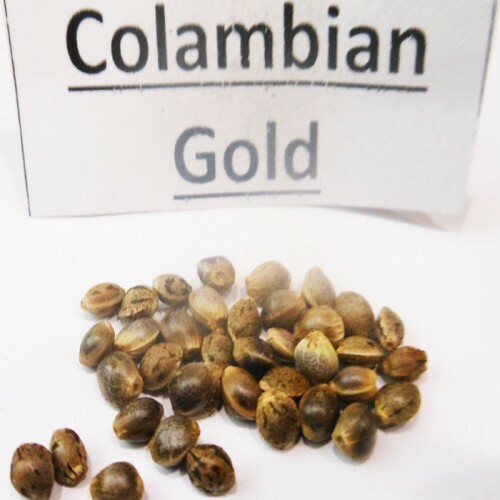 Colombian Gold (Colombian Gold). It is a good conductor of seeds, giving their fans the opportunity to not spend money again. sativa Supporters appreciate the variety is appreciated, as it is 80% of it. Despite all the ease of cultivation and picky, its plants are able to dial a decent level of THC (20%) and give more than half a kilogram of the crop. After smoking Rastafarian Saturation can feel the sweet taste and herbal tones. The effect is to encourage creative ideas and develop creative imagination. The feeling of euphoria and vigor will not leave you for a long time.